A writer’s job is to communicate a story to his or her readers. We string words together to form sentences, which form paragraphs and eventually pages. But we can’t use just any combination of words. We have to choose carefully. 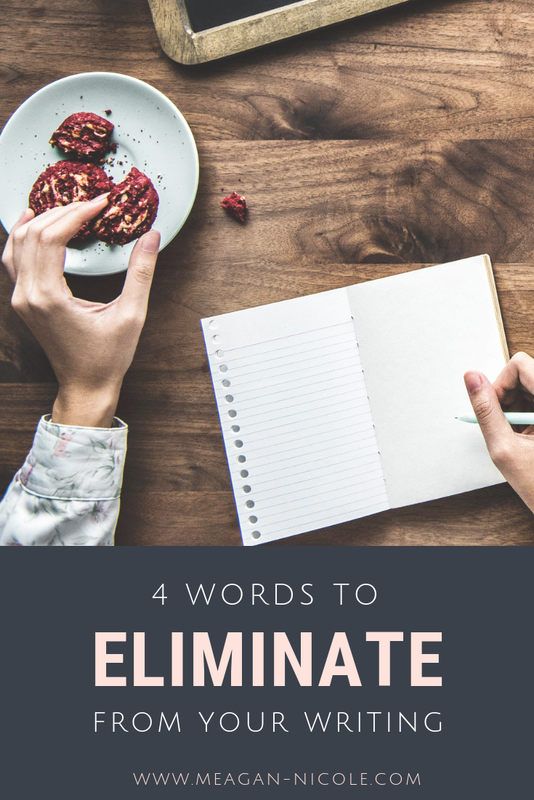 There are many words that author’s use repeatedly or unnecessarily, and here are just 4 that you should consider eliminating from your writing. You can easily find every use of them in your own novel or short story by using the search function on your writing software of choice. Keep in mind though that while these words are often filler, they do serve a purpose when used correctly. Use your discretion and follow your editor’s suggestions when dealing with these words. This word lacks conviction and certainty. It implies that the narrator or character in your story isn’t sure what he or she thinks or believes. You can’t expect your readers to be confident in your characters if they aren’t confident themselves. Example: Elizabeth felt like Charlie didn’t trust her to close the store. Revision: Though he didn’t say it, Elizabeth knew Charlie didn’t trust her to close the store. The example leaves room for interpretation. Maybe Elizabeth is making an assumption that isn’t true, or maybe Charlie was just having a bad day. But when we revise the sentence and use absolute terms, there is no room for misinterpretation. Elizabeth is certain, and the readers will be too. This word is often used when a writer doesn’t know how to describe something. Instead of taking the time to tell the reader in detail what a place, person, or thing looks like, the writer uses the word appear followed by the best description they can think of. Example: The door appeared to be glowing. Revision: Light spilled through the cracks around the door, and the brass doorknob glowed red like a branding iron. 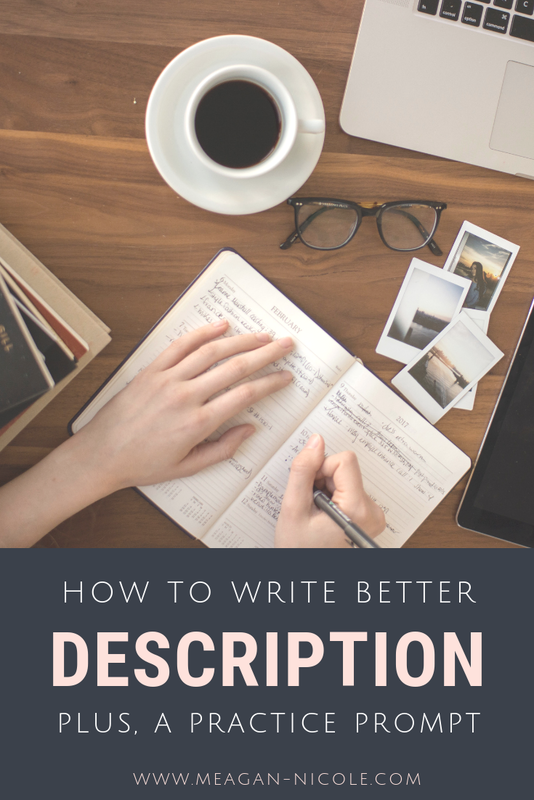 Depending on the pace of your scene, the importance of the description, and the impact you want it to have on your reader, you can either delete the word appear and keep the sentence short and simple, or you can take a sentence or two to describe the object or scene in detail. A shorter sentence can force your reader to read quickly, which is often used in action scenes. A longer sentence or multiple sentences will force your reader to slow down and pay attention to the details. That is used in fantasy or sci-fi works that require a lot of world building, especially if those details will be important later in the story. This word is similar to appear because it is a lazy way to describe something or someone. It can also be used when an author is trying to reveal a character’s thoughts or emotions when he or she is not the POV character. Example: Jack found Lucy on the other side of the park, and she seemed happy to see him. Revision: Jack found Lucy on the other side of the park, and she greeted him with a kiss. Revealing character’s thoughts and emotions outside of the POV character can be a challenge. But like the example above shows, you do not have to state the exact emotion that the character is feeling. Readers will understand that Lucy is happy because of the way she reacted when she saw Jack. This word makes the words that follow it sound weak. It can turn a strong description into a pathetic one, and like the word feel, this word lacks certainty. Example: The heat was almost hot enough to force Jeff to end the trek. Revision: The heat was hot enough to force Jeff to consider ending the trek. When you put almost in front of another word, the reader is left wondering what your really mean. Was it hot or not? Almost suggests that it really wasn’t hot enough to force Jeff to end the trek, which then only renders that description useless. As you can see in the examples, your sentence may require a little revision once you delete these words, but your writing will be stronger and your descriptions more real and concrete once you do. Readers will notice whether or not you take the time to choose your words wisely, so the time you invest in finding these words and eliminating them from your writing will be well spent. Your editor will appreciate the effort, and so will your readers. What is another word that you think you should cut from your writing? What is a word that you use too often? Share your thoughts with us in the comments.